Meijer: $2 off Scunci Hair Items, prices starting at $0.69 - no coupons needed! Sunday Market starting 4/17, Thursday market starting 4/21! Scunci hair items are $2 off. 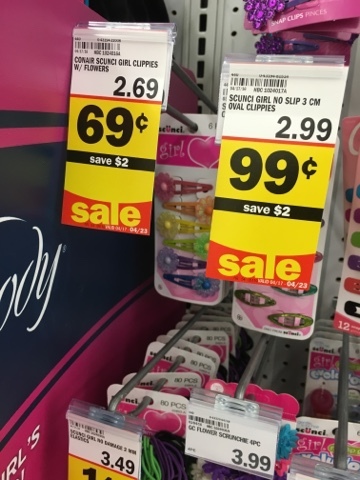 I saw prices starting at $0.69 for some hair clips and $0.99 for hair elastics! 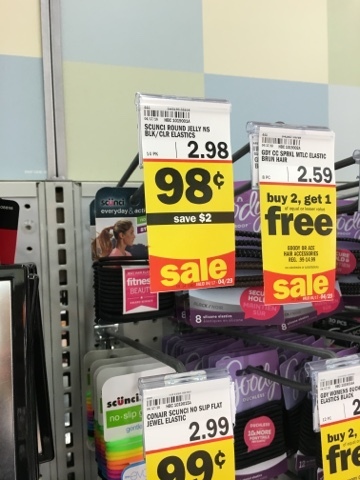 Great price and no coupons needed!